This homemade costume for boys entered our 2017 Halloween Costume Contest. 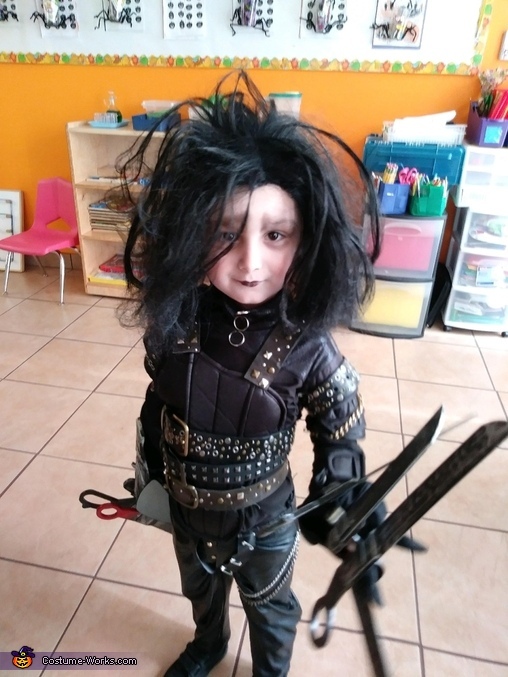 My son Jeremy is obsessed with Edward Scissorhands. Homemade costume! You look very good in that wonderful costume Jeremy, it looks so authentic. Good job. Edward Scissorhands is one of my favorite characters also. Loved the movie & have watched it many times. Super original costume! Loved this one!!!!!!! The details on this costume are amazing!!!!! You deserve to win!!!!! !